Dr Mengel is Interim Chair of the Department for Laboratory Medicine and Pathology at the University of Alberta, Edmonton, Canada. He is also Section Head for Transplantation Pathology at the Division of Anatomical Pathology. Outside his faculty Dr. Mengel is engaged in various international sub-specialty societies related to nephropathology and organ transplantation. 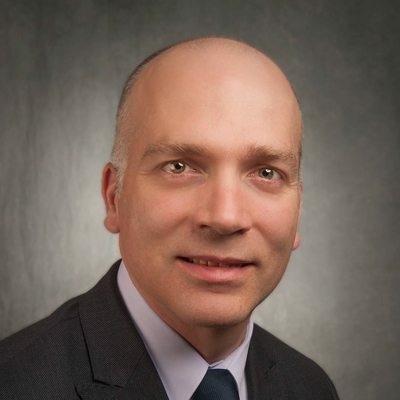 He is the past Chair of the Transplant Diagnostics Community of Practice in the American Society of Transplantation, and a member of the Organizing Committee of the International Banff Conference for Allograft Pathology. He was Chair of the Program and of the Transplant Committee with the International Renal Pathology Society. He studied medicine at the Semmelweiss University in Budapest, Hungary before going on to specialise in pathology and further in transplantation pathology and nephropathology. Before moving to Edmonton he was head of the transplant pathology service at the Hannover Medical School, Germany with responsibility for diagnostics and research based on transplant biopsies. In Edmonton, Dr. Mengel’s current work is focused on applying modern molecular and biostatistical techniques to biopsy specimens, with the aim to increase diagnostic precision in the area of organ transplanation. D’Agati VD, Mengel M. 2013 The Rise of Renal Pathology in Nephrology: Structure Illuminates Function. Am J Kidney Dis Jun;61(6):1016-25. Ozluk Y, Blanco PL, Mengel M, Solez K, Halloran PF, Sis B. 2012 Superiority of virtual microscopy versus light microscopy in transplantation pathology. Clin Transplant. Mar;26(2):336-44. Mengel M, Husain S, Hidalgo L, Sis B. 2012 Phenotypes of antibody-mediated rejection in organ transplants. Transpl Int. Jun;25(6):611-22. M. Mengel, J. Reeve, S. Bunnag, G. Einecke, B. Sis, Th. Mueller, B. Kaplan, Ph.F. Halloran 2009 Molecular correlates of scarring in kidney transplants: the emergence of mast cell transcripts. Am J Transplant 9(1): 169-178. Ghodsizad A, Niehaus M, Koegler G, Martin U, Wernet P, Bara C, Khaladj N, Loos A, Makoui M, Thiele J, Mengel M, Karck M, Klein HM, Haverich A, Ruhparwar A. 2009 Transplanted human cord blood derived unrestricted somatic stem cells improve left-ventricular function and prevent left-ventricular dilation and scar formation after acute myocardial infarction. Heart 25(1): 27-35. Einecke G, Mengel M, Hidalgo L, Allanach K, Famulski KS, Halloran PF. 2009 The early course of kidney allograft rejection: defining the time when rejection begins. Am J Transplant 9(3): 483-493. Bunnag S, Einecke G, Reeve J, Jhangri GS, Mueller TF, Sis B, Hidalgo LG, Mengel M, Kayser D, Kaplan B, Halloran PF. 2009 Molecular correlates of renal function in kidney transplant biopsies. J Am Soc Nephrol. 20(5):1149-60. Skerka C, Licht C, Mengel M, Uzonyi B, Strobel S, Zipfel PF, Józsi M. 2009 Autoimmune forms of thrombotic micorangiopathy and membranoproliferative glomerulonephritis: Indications for a disease spectrum and common pathogenic principles. Mol Immunol. Sep;46 (14):2801-7. Hidalgo LG, Sis B, Sellares J, Campbell PM, Mengel M, Einecke G, Chang J, Halloran PF. 2010 NK cell transcripts and NK cells in kidney biopsies from patients with donor-specific antibodies: evidence for NK cell involvement in antibody-mediated rejection. Am J Transplant. Aug;10(8):1812-22. Mengel M, Sis B, Kim D, Chang J, Famulski KS, Hidalgo LG, Einecke G, de Freitas D, Tymchak W, Burton J,Halloran PF. 2010 The molecular phenotype of heart transplant biopsies: Relationship to Histopathological and Clinical Variables. Am J Transplant. Sept;10(9):2105-15. Metzger J, Chatzikyrkou C, Broecker V, Schiffer E, Jaensch L, Iphoefer A, Mengel M, Mullen W, Mischak H, Haller H, Gwinner W. 2011 Diagnosis of subclinical and clinical acute T-cell-mediated rejection in renal transplant patients by urinary proteome analysis. Proteomics Clin Appl. Jun;5(5-6):322-33. Erdbruegger U, Scheffner I, Mengel M, Schwarz A, Verhagen W, Haller H, Gwinner W. 2012 Impact of CMV infection on acute rejection and long-term renal allograft function: a systematic analysis in patients with protocol biopsies and indicated biopsies. Nephrol Dial Transplant. Jan; 27(1):435-43.
de Freitas D, Sellarés J, Mengel M, Chang J, Hidalgo L, Famulski K, Sis B, Einecke G, Halloran PF. 2012 The nature of biopsies with “Borderline Rejection” and prospects for eliminating this category. Am J Transplant. Jan; 12(1):191-201. Sellarés J, de Freitas D, Mengel M, Reeve J, Einecke G,Sis B, Hidalgo L,Famulski K, Matas A, Halloran PF2012 Understanding the causes of kidney transplant failure: the dominant role of antibody-mediated rejection and non-adherence. Am J Transplant. Feb; 12(2):388-99. M Mengel, B Sis, M Haas, R.B. Colvin, P.F. Halloran, L.C. Racusen, K Solez, L Cendales, A.J. Demetris, C.B. Drachenberg, C. Farver, E.R Rodriguez, W.D Wallace, D Glotz. 2012 Banff 2012 Meeting Report: New Concepts in Antibody-Mediated Rejection. Am J Transplant. Mar;12(3):563-70. Bröcker V, Schubert V, Scheffner I, Schwarz A, Hiss M, Becker JU, Scherer R, Haller H, Kreipe HH, Mengel M, Gwinner W. 2012 Arteriolar Lesions in Renal Transplant Biopsies: Prevalence, Progression, and Clinical Significance. Am J Pathol. May;180(5):1852-62. Sis B, Jhangri G, Riopel J, Chang J, de Freitas D, Hidalgo L, Mengel M, Matas A, Halloran PF. 2012 A new scoring system and algorithm for antibody-mediated microcirculation inflammation in kidney transplants. Am J Transplant. May;12(5):1168-79. Mueller-Deile J, Kümpers P, Achenbach J, Park JK, Mengel M, Haller H, Schiffer M. 2012 Podocalyxin-positive glomerular epithelial cells in urine correlate with a positive outcome in FSGS. J Nephrol, Sep;25(5):802-809. Schiffer L, Schiffer M, Merkel S, Schwarz A, Mengel M, Jürgens C, Schroeder C, Zoerner AA, Püllmann K, Bröcker V, Becker JU, Dämmrich ME, Träder J, Großhennig A, Biertz F, Haller H, Koch A, Gwinner W. 2012 Rationale and design of the RIACT–study: a multi-center placebo controlled double blind study to test the efficacy of RItuximab in Acute Cellular tubulointerstitial rejection with B-cell infiltrates in renal Transplant patients: study protocol for a randomized controlled trial. Trials. Oct 26;13(1):199. Mengel M, Campbell P, Gebel H, Randhawa P, Rodriguez ER, Colvin R, Conway J, Hachem R, Halloran P, Keshavjee S, Nickerson P, Murphey C, O’Leary J, Reeve J, Tinckam K, Reed EF. 2013 Precision Diagnostics in Transplantation: From Bench to Bedside. Am J Transplant Mar;13(3):562-8. Reeve J, Sellarés J, Mengel M, Sis B, Skene A, Hidalgo L, de Freitas D, Famulski KS, Halloran PF. 2013 Molecular Diagnosis of T Cell-Mediated Rejection in Human Kidney Transplant Biopsies. Am J Transplant Mar;13(3):645-55. Sellarés J, Reeve J, Loupy A, Mengel M, Sis B, Skene A, de Freitas D, Kreepala C, Hidalgo LG, Famulski KS, Halloran PF. 2013 Molecular Diagnosis of Antibody-Mediated Rejection in Human Kidney Transplants. Am J Transplant Apr;13(4):971-83.